Huh, I guess the next time I visit San Francisco, I’ll swing by Chinatown and let them know. They are all just Americans, the same as everyone else, and it’s about time they started acting like it. I remember being taught about our national heritage in grade school. We learned how all those varied heritages — African and Middle Eastern, Asian and Slavic, Irish and German — they were merely ingredients for the great “Melting Pot”, the goal of which, as far as I could tell, was to distill away everything that was special and unique about them until all that was left was ‘American Culture’. Or, as I would argue it, ‘until nothing was left at all’. And the old “Melting Pot” has been very successful in its work. So many people in this country seem to have no greater connection to their ancestors than the seemingly arbitrary arrangement of letters that make up their last name. And yet, for all that, my pontificating young associate is as wrong as he could be. 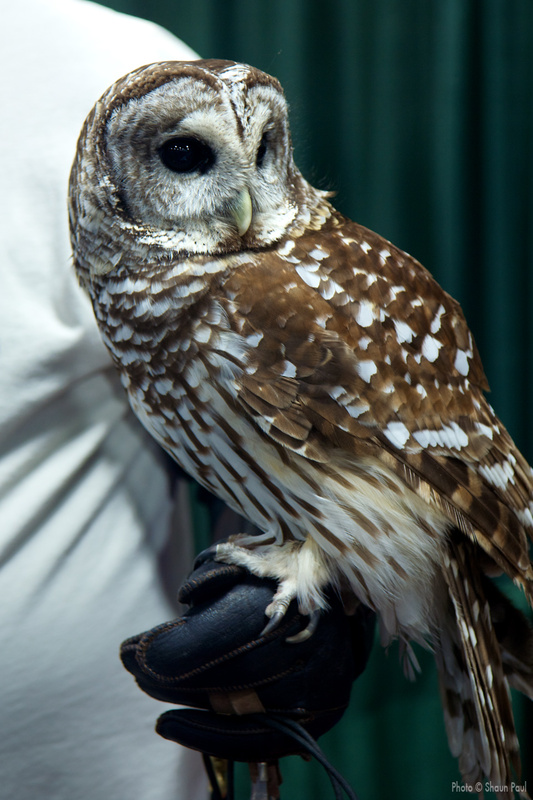 I spent most of this Saturday among fellow Irish Americans (and Scots and others besides) at the North Texas Irish Festival, held yearly in Dallas’ Fair Park. Like many other ethnic communities in this nation, the survivors of the Celtic Diaspora have learned that in order to survive in the face of the accursed melting pot, you have got to market yourselves to the masses. And so we have Leprechaun Elvis, ambassador of all things green and kitschy, and I don’t know what we would do without him. And he’s holding a hunk, a hunk of green-clad pup! Some may choose to cringe at all the plastic bric-á-brac lining the shelves of a show like this, but to do so is to court disaster. Interspersed among booth after booth of Guinness T-Shirts, are crafts people fighting to keep alive the arts of weaving, crochet lace making, ceramics, and weapon smithing. Here and there you will find gathered those dedicated to the preservation of the Irish language, history, and mythology. 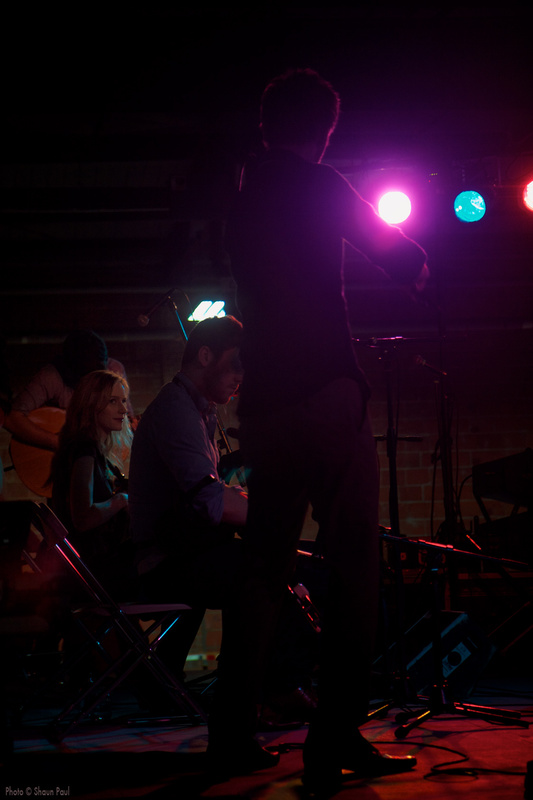 And it would be hard to overlook the musicians and dancers who flock to such an event, hoping to grow their audience, and the audience for Celtic music in general, beyond our own limited community. 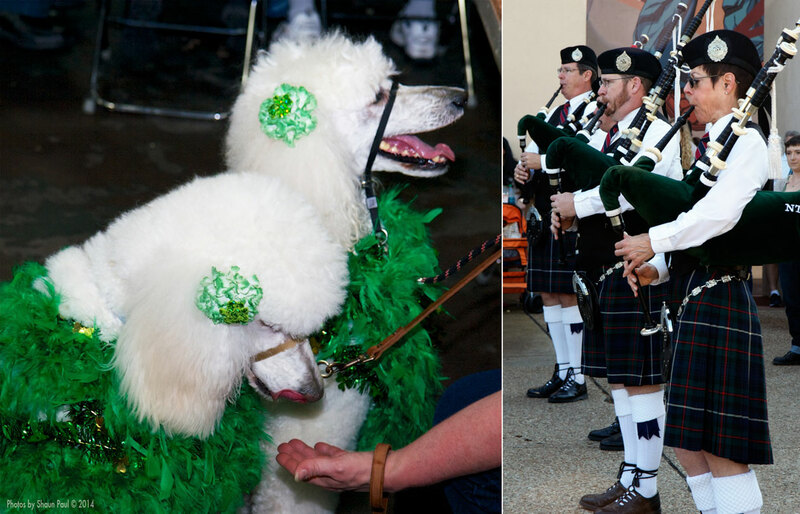 The North Texas Irish Festival brings you only the best Celt-Inspired memorabilia and deep-fried everything. 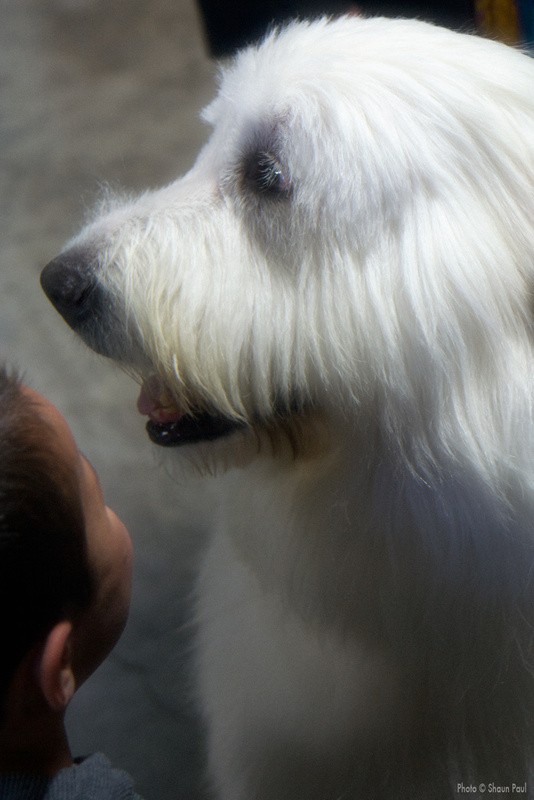 This years theme was “Erin Go Bark” with special attention being paid to the many wonderful dog breeds of Ireland. As always the North Caledonian Pipes and Drums (right) were on hand to keep things ‘regimental’. Dozens of Celtic musical groups were on hand including one of my favorites ‘The Town Pants’, bringing their own brand of ‘West Coast Celtic’ from far Vancouver, Canada. And so I raise my glass…, ummm…, my plastic cup, and I salute you, Leprechaun Elvis. May we meet again under sunny March skies! 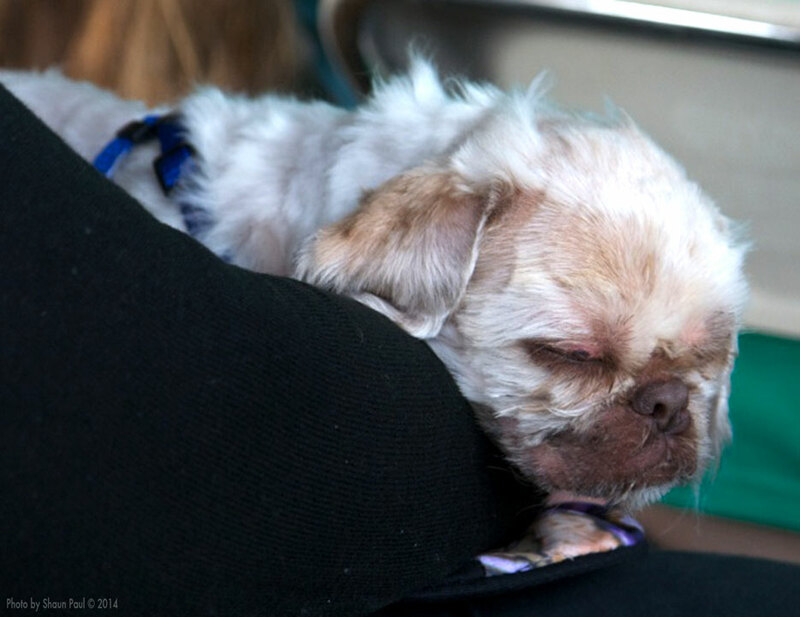 No matter how great a time you are having, or how awesome the company, eventually you are still gonna be like this little guy – one tired pup. Sláinte! Friends and family remind me of this from time to time, usually as I am hurrying from one unfinished project to another while fretting over a dozen more which seem eternally out of reach. 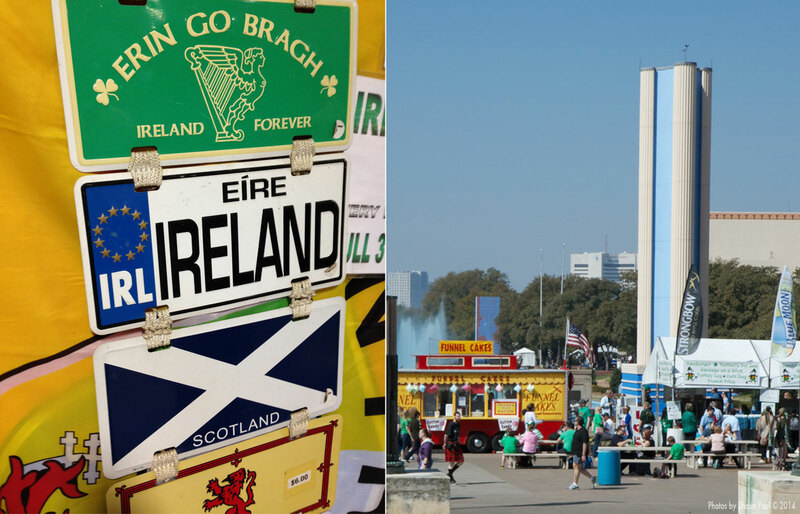 We all need to give ourselves a little break from time to time, which is why I always look forward to our yearly trip to Fair Park in Dallas for the North Texas Irish Festival. It’s nice to just roam around with my camera, taking in an afternoon of music, shopping and people watching. And so for the moment I shall take a step back from my weekly musings and allow you to share, just a bit, in my yearly indulgence. 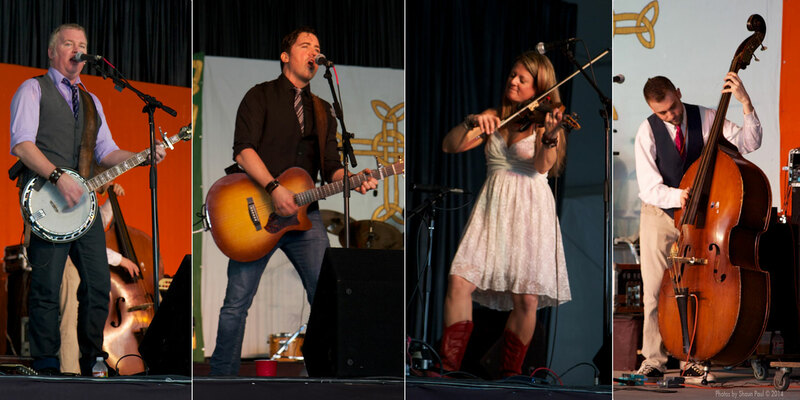 Truly, the best part of the North Texas Irish Festival is to be found in the music! Everywhere you go there are talented of Celtic artists putting a modern spin on traditional favorites. We were talking to a vendor who was working the festival for the first time and his impression of what made this one different from other conventions was summed up in two words: “Dogs and Beer.” The show is certainly a dog-lovers treat with every possible breed roaming the grounds to the delight of adults and children alike. Animal rescue groups of all sorts (from cats and dogs to wild raptors) are always a popular attraction and make for some otherwise rare photo opportunities. 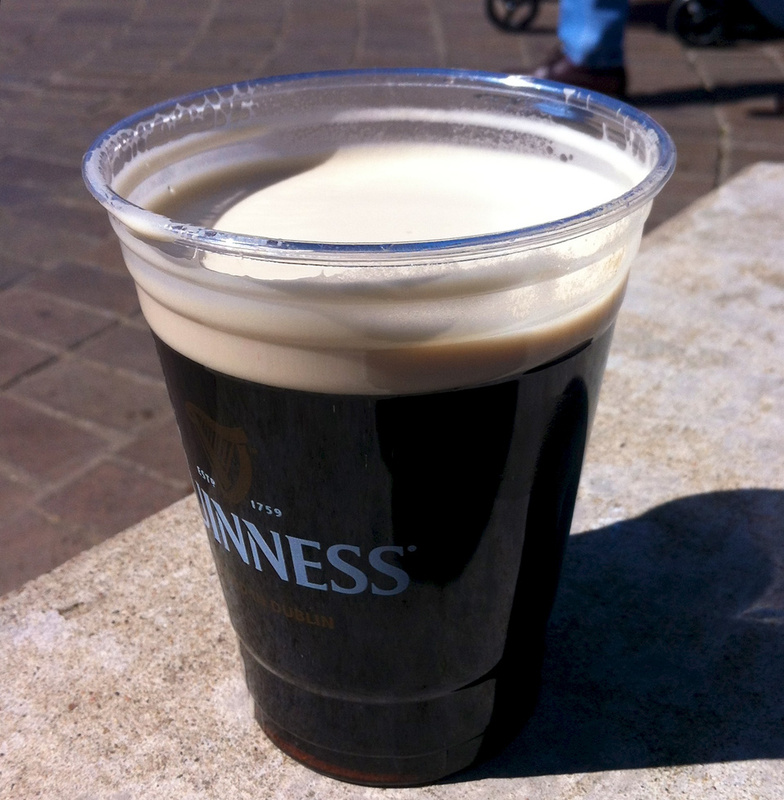 I sometimes refer to the Irish Festival as “Guinness in a Plastic Cup”. The obvious reason is that this is how beer is served at the festival – something of a crime against nature. The metaphor runs a little deeper, though. There is an almost artificial quality to much of the show. It’s easy to look at the show with a cynical eye and see crowds of “Plastic Paddys” glomming onto a culture they know little about while buying all manner of shamrock studded ticky-tack. At the same time, there is a rich, wholesome quality to the show which the cheap plastic packaging does nothing to diminish. Everywhere you look there are craftsmen, dancers, artists and musicians, who could no doubt make more money in conventional pursuits but who struggle daily to make ends meet for the love of their art and the desire to share it with others. Many of us who attend have a genuine pride in their Celtic heritage and a desire to preserve that deeper connection with their history and their ancestors. 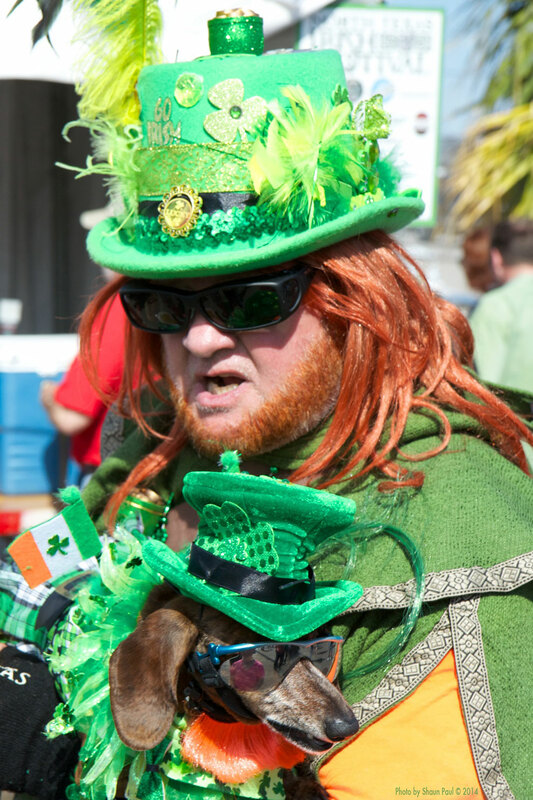 Visiting the North Texas Irish Festival may not satisfy that deep yearning for the homeland which many of us feel. Think of it as instead as the biggest “support group” you could imagine, meeting on the first weekend in March. It’s therapy, with beer and food and music. Who cares if it comes in a plastic cup! Stone of Destiny by Shaun Paul is licensed under a Creative Commons Attribution-NonCommercial-NoDerivs 3.0 Unported License.